Hi friends! Hi, I’m Katie, and I’m the CEO, and Founder of Pets Crave Love, a professional dog walking company in Austin, TX. Julie asked me to write a little about the type of people we want working in our businesses and caring for your pets. You might wonder what goes on behind the scenes when it comes to hiring employees for pet business owners, and it’s not as simple as it seems. They have the ultimate responsibility of caring for your treasured family members as well as your home while you’re away. We take it very seriously, and so should you when you’re selecting the right company to work for you. First off, there are four different kinds of pet care businesses in my opinion. Solo, meaning they run their business and do all of the visits themselves, LLCs with employees, they have a limited liability company and hire employees, businesses with independent contractors, which I won’t be talking about today, and “hobby sitters.” Hobby sitters are not insured and typically don’t pay taxes or have formal businesses. My company, Pets Crave Love, and Julie’s company, The Pet Sitter of Boise, LLC, use employees in our businesses. We are fully insured, bonded, and have workers compensation. Why does this matter? If something were to go wrong with your pet, your home, or our employees in your home with your pets, you, as the client, are covered. 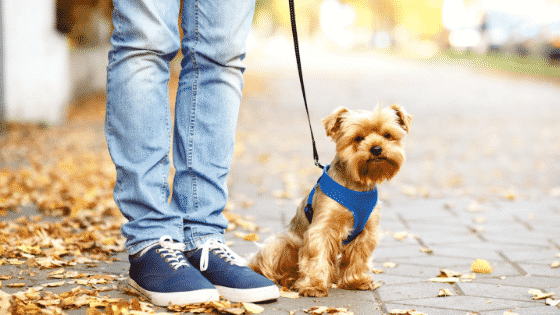 We also use a professional pet sitting and dog walking software for scheduling and invoicing, so working with our clients and managing our teams are easier. Why would it matter having a team of people versus a single sitter? Having a group of people makes it easier if someone is ill, or in case of emergency. It also helps us service more clients; there are more of us to go around! Professional companies assign employees to clients who are an excellent match for them and vice versa. Employees are familiar with the same pets and their homes so we can provide excellent care when needed. What type of people make great pet care professionals? Flexible people can go with the flow and adjust on the fly to the client’s changing needs and schedules. They can also fit under couches to retrieve lost toys and bones as well as skillfully pick up dog poop on the fly, bending over to pet dogs is not a problem. Dependable and punctual people show up, no excuses. We can confidently schedule our employees knowing they will be there for our clients when they say they will, and they manage their time well. We often have managers who pay attention to the daily schedules, making sure our employees can visit each client for their scheduled times. Fun is discovering the poop bag you’re using has a small hole and being able to laugh it off. Just kidding, kind of, but if you aren’t having a good time and enjoying animals, it’s not likely we’ll have you on our team. Dogs live in the moment, and a sense of humor and a knack for games and play make our teams stand out. Those with a lot of motivation go far in our industry. It takes hard work to stay organized and energized sometimes, but being motivated by clients and their pets keeps us going. Seeing smiling dogs and wagging tails when we come in the door is excellent motivation! Also having our grateful clients and providing them a sense of relief knowing their pets are taken care of goes a long way. “You walk dogs all day, that must be so fun!” It sure is, but you better believe that durable is one of the qualities our employees must have. Not only are we having fun, but we’re also sometimes cold, wet, hot, sweaty, dirty, windblown and sunburnt! A love for the outdoors and all that mother nature can throw our way is essential. Also, we are not afraid of a little dirt; it happens! Most important of all, we are professionals who love animals and their people. The roots that keep our businesses strong are our true love of all animals and our ability to go above and beyond to make sure we meet their needs while we are with them. Many pet care owners are also involved with their local communities and rescue and fostering as well. We got into owning a dog walking or pet sitting business because we have a deep, unconditional love for animals. And if you do, you won’t last long!